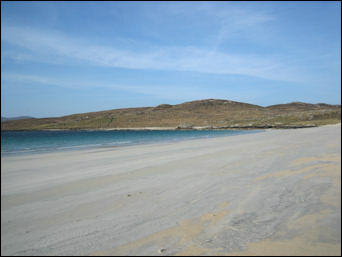 Named after Saint Tarran, this island of Taransay is home to the remains of two chapels. Ancient tradition is that if women were buried in the graveyard of St. Keith's chapel or men in St. Tarran's, the bodies would be disinterred overnight. 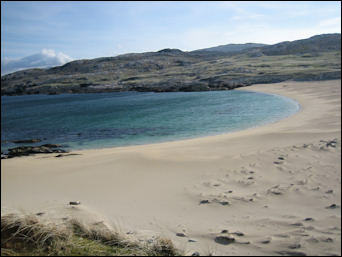 From the west coast of Harris you can see that the island has a nice-looking stretch of golden sand at its middle. At the turn of the century, 70 people lived here, but by 1961 this had dwindled to 5 members of the Macrae family, and later the island became uninhabited. The BBC used the island as the home for a 'social experiment' by getting 36 people to live as a community on Taransay for a year. Only 29 lasted the whole 12 months. 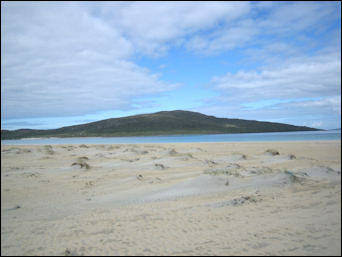 For historical information about the island, see Wikipedia.